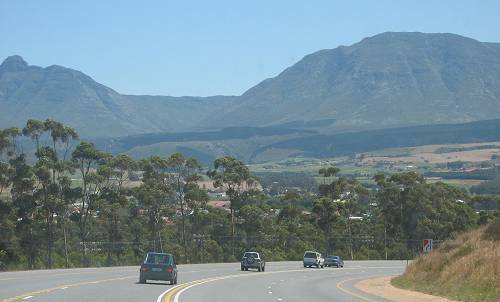 Riversdale is a town located on the N2 highway between Cape Town and George on the Agulhas Coastal Plain of the southern Western Cape province of South Africa. The town was founded as a church on the farm, Doornkraal, and was subsequently named after Harry Rivers, the then incumbent Civil Commissioner of Swellendam. It was proclaimed a town on 30 August 1838. Riverdale is the seat of the Hessequa Local Municipality. 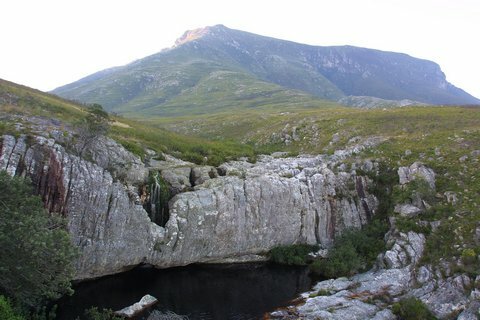 It is also the westernmost point in the Garden Route region. 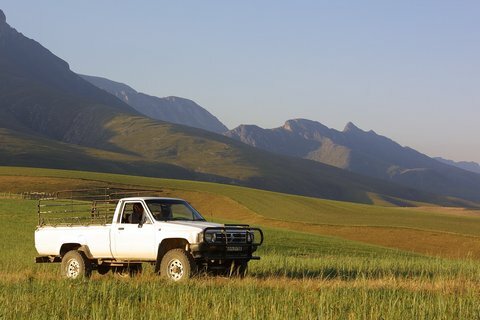 Riversdale is perhaps best known for her abundance of indigenous fynbos. During the winter months, the mountains and surrounding areas are an array of rainbow floral displays, which have earned the town recognition as the Floral Paradise of the Garden Route. Proteas and Ericas are harvested for export and Riversdale hosts a popular flower show every September. Entering Riversdale at this time of year, one is immediately aware of a rather pungent odour attributable to the smelly Agathosma, one of the strains of buchu that grows wild here. Riversdale has something for everybody and visitors are warmly welcomed by its friendly residents. A flourishing country town situated on the N2 highway between the Langeberg mountain range and the sea, and within easy reach of surrounding towns, Riversdale makes an ideal stop over or base for exploring the area.The town boasts with an ultra modern civic centre. It offers a fine mixture between modern day conveniences and olden day peacefulness and is well worth a stay over. 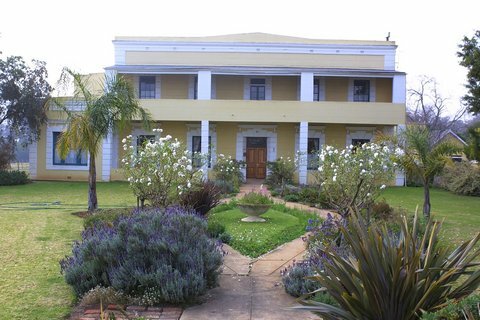 Riversdale has a rich cultural heritage and is blessed with a number of historical landmarks. The Julius Gordon Africana Centre houses an art and antique collection and the paintings by Thomas Bowler. CJ Langenhoven, known as the father of the Afrikaans language, spent the last two years of his school life in Riversdale. He wrote the poem used for ‘Die Stem’, South Africa’s apartheid era national anthem. Today it has been incorporated into the last two verses of Nkosi Sikelel’iAfrika - representing two sides of a divided country now united. Riversdale's ideal location gives it the advantage of being within a few kilometres of seaside towns such Still Bay and Witsand and also an excellent base for one-day trips to explore the variety of natural beauty, interesting places, charming 19th century restored houses, breathtaking hiking trails and exquisite mountain scenery with activities such as 4x4 routes, abseiling alongside waterfalls, horseback safaris, hang gliding, fishing and water sports.